Experience of exploring the Karnali will tell you that it is one of the most incredible journeys of life. The River, in volume, is the largest and longest in Nepal and the upper sections are rarely explored. Along the lower section the river takes a sharp turn from south to north, often called the Western Bend. At this point, the river can be accessed and an incredible adventure through deep gorges and remote regions begins. The upper Karnali, better known as the Humla Karnali rises in Tibet from the holy peak, Mount Kailash some very experienced expedition groups can run upper sections. These normally start with a charter flight to Simikot and then sixteen to twenty days to the take out at Chisopani. The Lower Karnali can be run in five to seven days and still proves a major river journey that has got to fall into the category of being one of the best in the world. Distance on river: 180 km. Best period: Begin October till end December / half February till end May. Day 1 : Leave Kathmandu. Day 2 : arrive Surkhet. Trek option: begin trekking straight away. Camp at school halfway to river. Day 3 : Continue Trek to river arriving early afternoon, On to the river for an hour or two, Camp. Day 6 : The big day - God's house rapid and others. 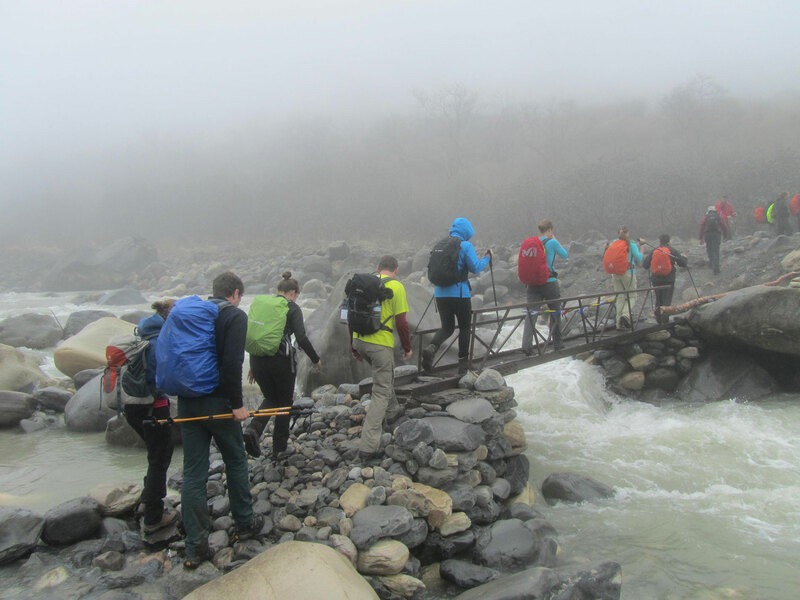 Day 8 : Steady float to confluence of the Bheri river. Day 9 : Half day to Chisopani, leave mid-afternoon. Day 10 : Arrive Kathmandu lunchtime / afternoon.